Hampton Township School District is the only U.S. public school represented by the Talbot as its mascot. 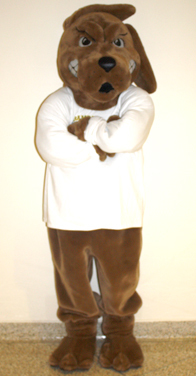 Questions about the mascot are among the most commonly received via the District website. The Talbot is an extinct species of hunting dog similar to a greyhound or mastiff. In May 2009, the Board of School Directors adopted the District's first official rendering of the Talbot, seen here. 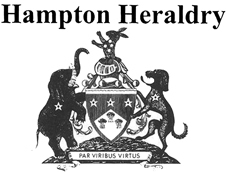 On April 26, 1940, several students from the newly-established Hampton High School visited Carnegie Library to do some research that might lead to the adoption of a school insignia. They found in one of the two coats of arms of the House of Hampton, England, a small design that included a silver-colored Talbot. The House of Hampton was chosen because it is the ancestral lineage of Judge Moses Hampton for whom the Township is named. He approved the formation of the municipality although he never lived within its boundaries.